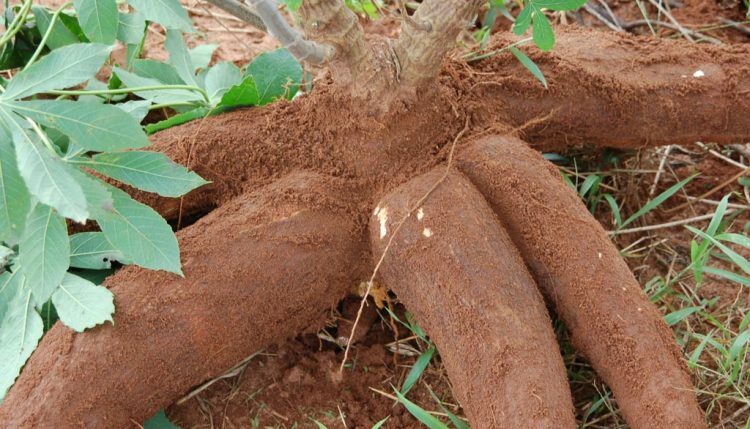 Ministers of agriculture and rural development from Cameroon, Central African Republic, and Gabon are optimistic that agriculture could transform the region into a semi-industrialized economy, with cassava being at the center of the sector. 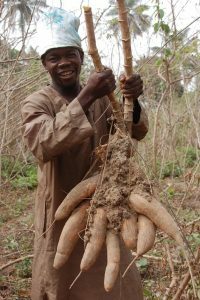 They were speaking with agricultural experts, policymakers, and smallholder farmers in Cameroon during the inaugural biennial Cassava forum last month (6-9 December). The initiative is a newly established regional forum on cassava for Central African countries that aims to facilitate dialogue on how to add value to cassava farming. It also aims to bring relevant individuals and institutions in the cassava value chain together to discuss the challenges and opportunities in cassava farming, especially in Cameroon, Central African Republic, Chad, Congo, the Democratic Republic of Congo, and Gabon. The forum was organized by the Netherlands-headquartered Technical Centre for Agriculture and Rural Cooperation (CTA) in partnership with the UN’s Food and Agriculture Organization and IITA. The Ministers, speaking at different sessions during the forum, noted that cassava is a very important crop that could help the region boost its food security through increased production. They urged researchers and the private sector to help the transfer and adoption of new technologies by smallholder farmers to enable them to overcome challenges such as climate change. “This forum is very important in helping us address the challenges facing a crop that is important, especially to the rural poor,” says Ananga Messina, ministerial delegate to the Minister of Agriculture and Rural Development of Cameroon. Messina urged hospitality industries to ensure that cassava meals are served in their restaurants and hotels to help increase markets for farmers. She added that the next forum to be held in 2018 in the Central African Republic should address postharvest losses in processing of cassava, which is still a major challenge in the region.Messina also asked participating countries to have national forums prior to the regional one to discuss national challenges and opportunities. She says that this would make the regional forum sustainable.